We here at FHM have never encountered a more consistent vehicle in terms of style, class, and status than the very popular MINI. [firstpara] Nobody can deny the authenticity of this vehicle, let alone its longevity in the automobile market and in the eyes of both beholders and on-lookers. The celebrated car brand is currently celebrating its 50th year in the automobile industry. How many car concepts have survived such a long time? Not to mention, having been converted into such wide range of variants as the MINI. Who would have thought that a car as light-looking as this would turn out to be an icon, both in design and social revolution? 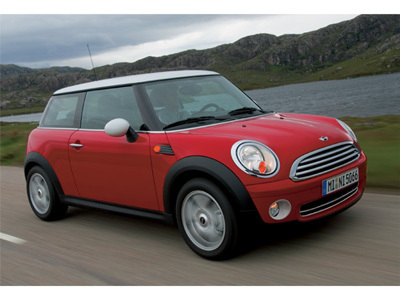 We mean, it was the Mini that popularized the concept of front-wheel drive and transverse engines. The MINI is widely used in England and Italy as their prototype streetcar, and with a little ray of hope we do wish to do the same here someday. We wouldn’t be surprised after all if this iconic car continues to attract drivers for the next 20 to 30 years. The 75-year old British style icon Mary Quant revealed that her invention – the mini-skirt – was named after her fondness for the MINI, and not because it is a short skirt. The MINI earned itself the moniker of “the Giant Killer” among fans for taking on sports cars and saloons during the Singapore Grand Prix in the 1960s. Sir Alec Issigonis, the father of the classic MINI, basically invented the MINI in a nutshell by sketching it in a napkin during lunch. Beatle George Harrison and designer Donatella Versace and are just two of many icons to have their self-designed MINI cars over the years.